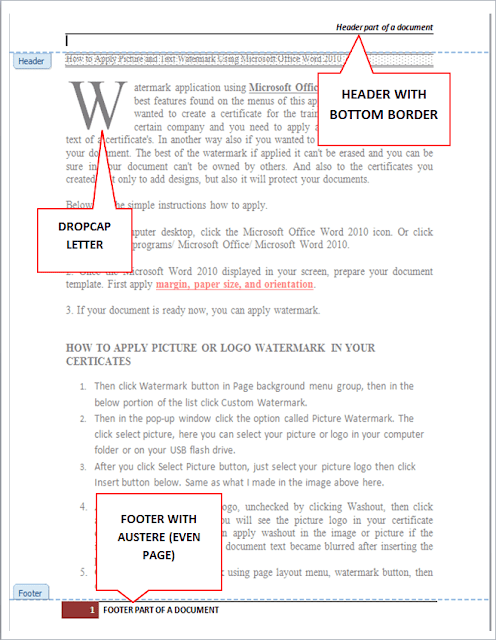 You need to insert or apply header and footer in your document? 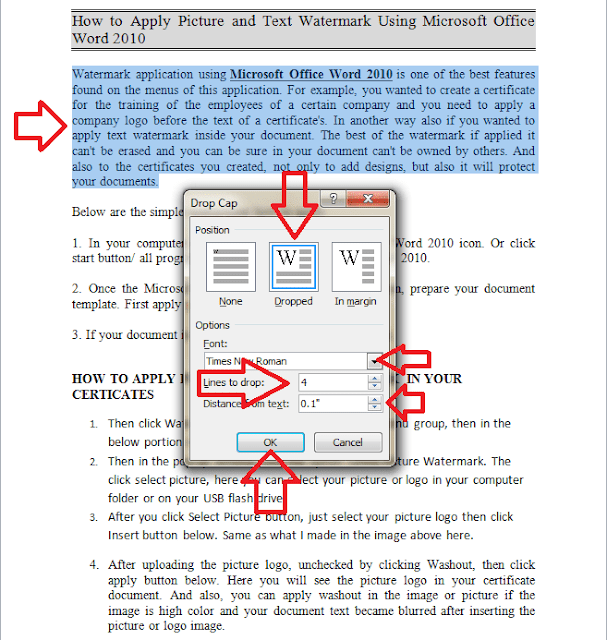 Learn the basic and easy way how to insert this application the section of your documents. 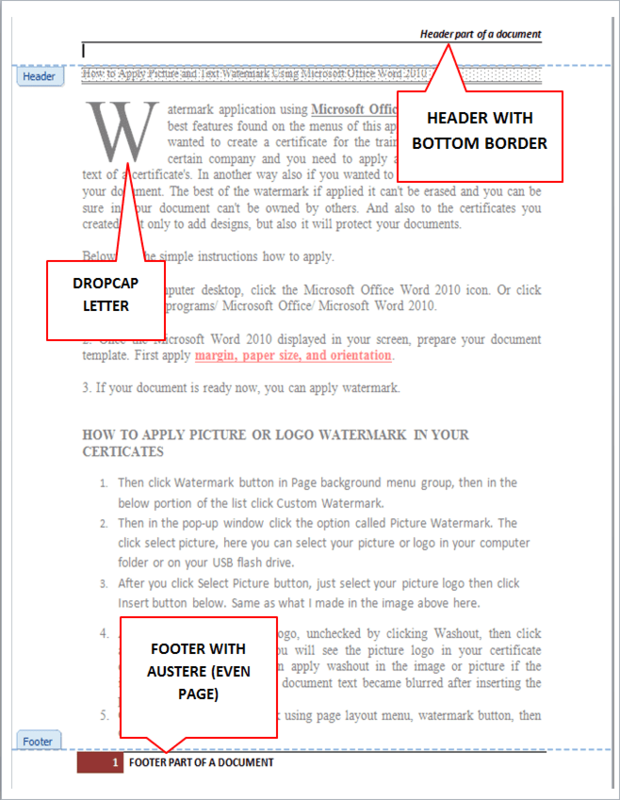 Drop Cap is a First text of a first word of a paragraph, commonly located as indicated as the first paragraph of a document. 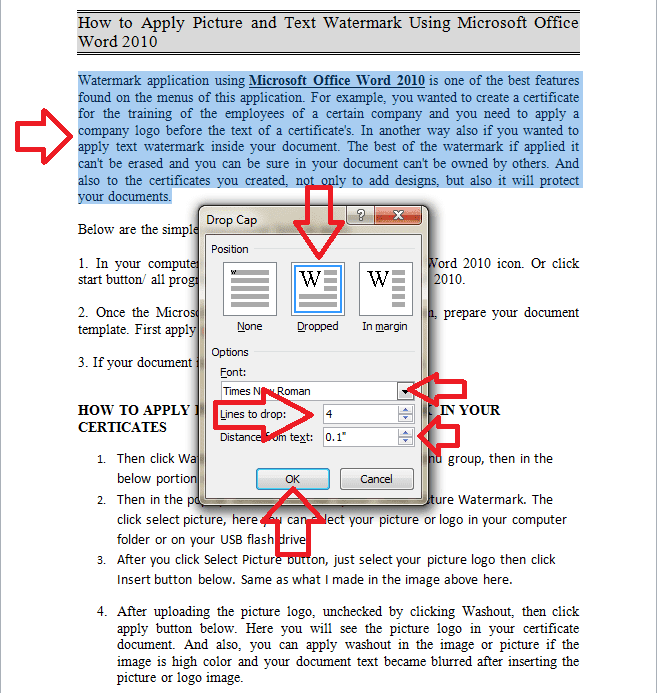 It is not font size features but the size of a text is depend on how many lines you drop in your paragraph. 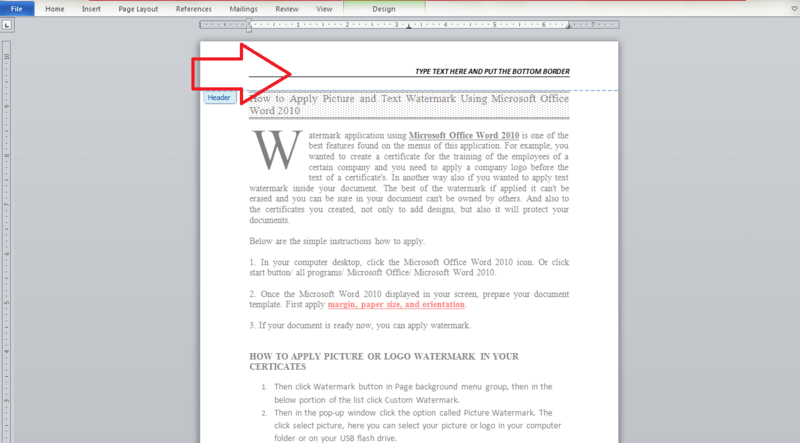 The header is part or a section of your document position at the top, either you align it on the left side or right side. And either you put a bottom border as additional features. 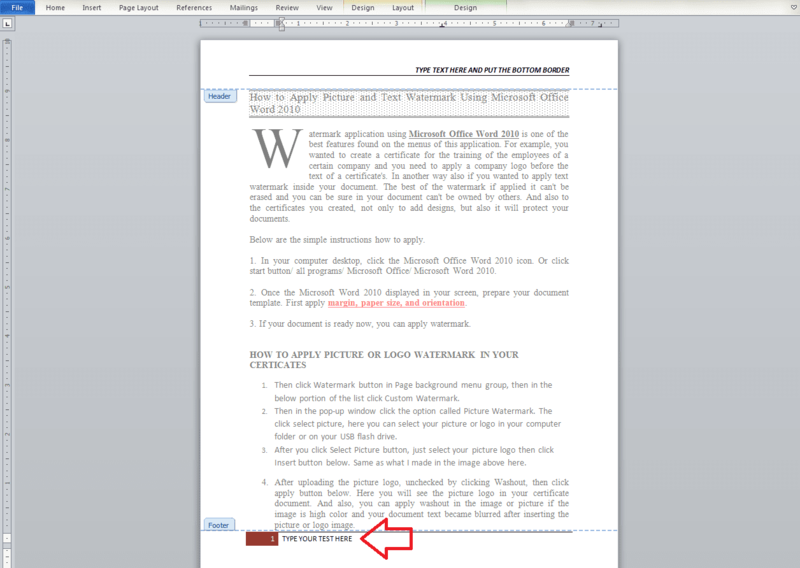 And the footer is a part or a section of your document position below or in the bottom part. Either you can select a feature design like Austere Even Page and you can add also a page number on it. 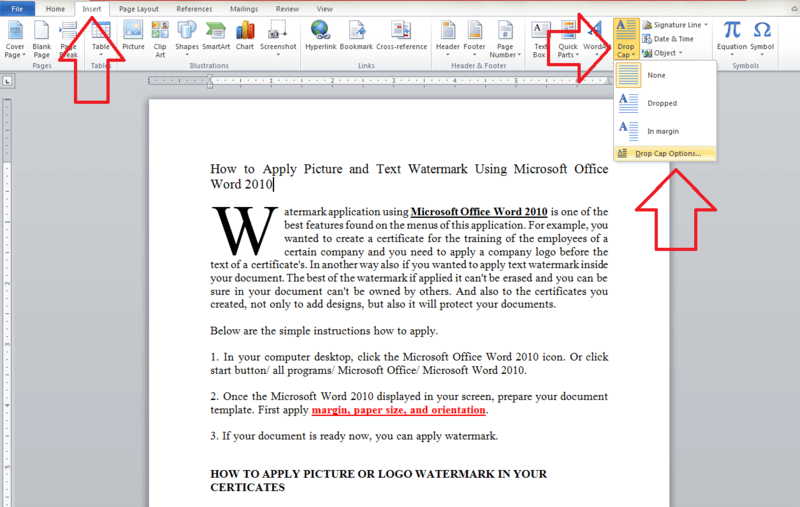 Open your Microsoft Word then your document. 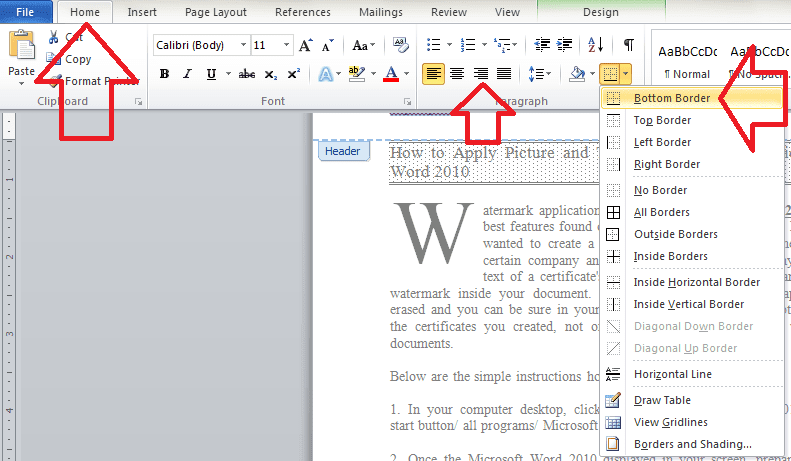 When your document is open, click the insert menu at the top. Click Drop Cap and click Drop Cap Options on the list. 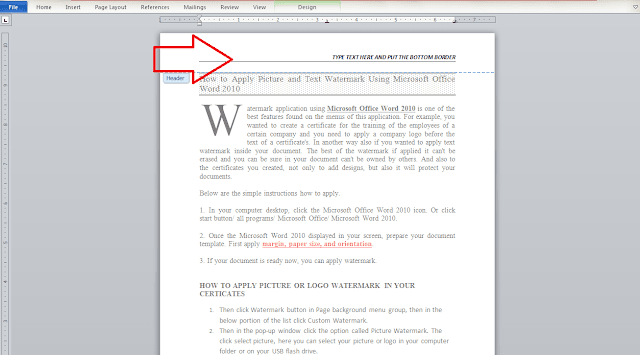 In the pop-up window of Drop Cap, select position, setup font style, Lines to drop, distance from text. Example: Select dropped as your position, click the down arrow bar of font to select font style, set 4 as lines to drop, set 0.1 as distance from text. Then click ok button if you're finish. 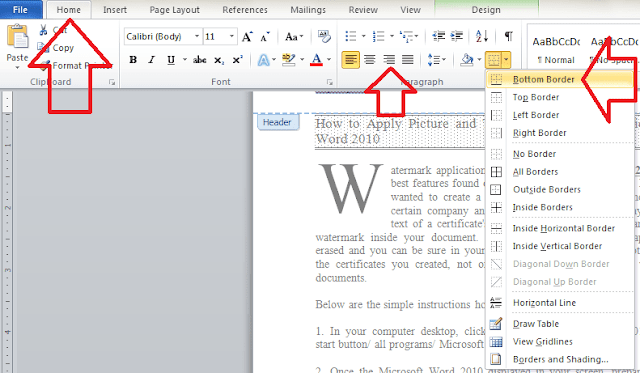 Click the insert menu at the top of your Microsoft Word. 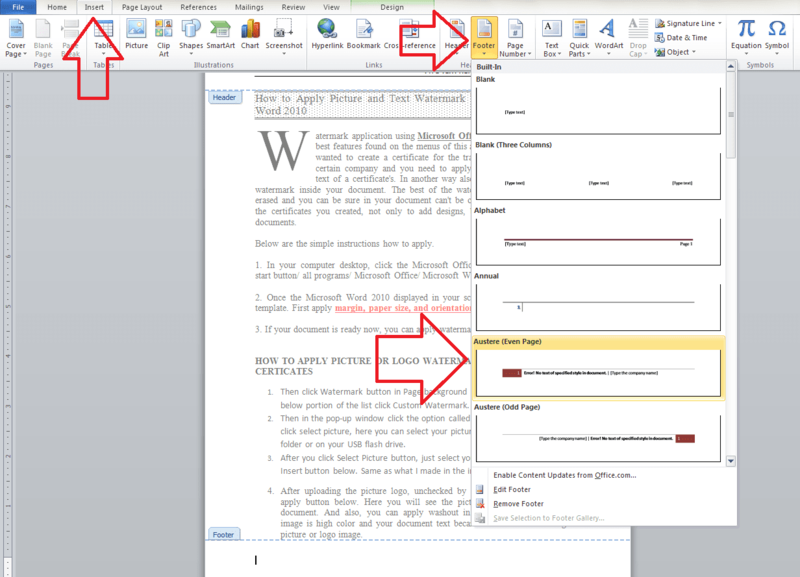 Then click header button at the right. Then in the header list, select blank. You can select other built-in header you like. A type text bar will display, Type your line of sentence as your header or a tag lines you like. You can add bottom border of your header same as the image above here. 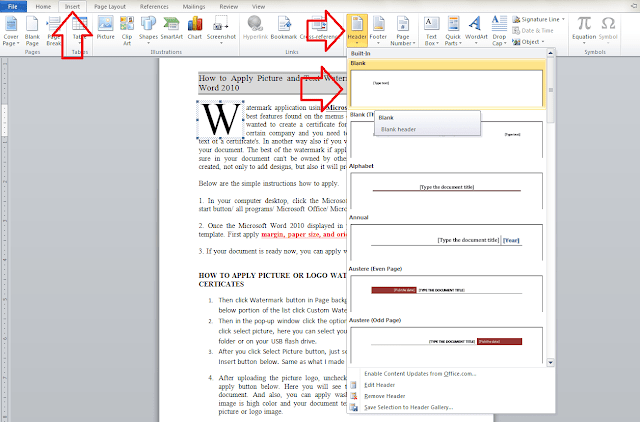 Highlight the text or sentence/ then click home/paragraph group select bottom border/then apply right align of your header. Then click Footer button at the right. Then in the footer list click Austere (Even Page). 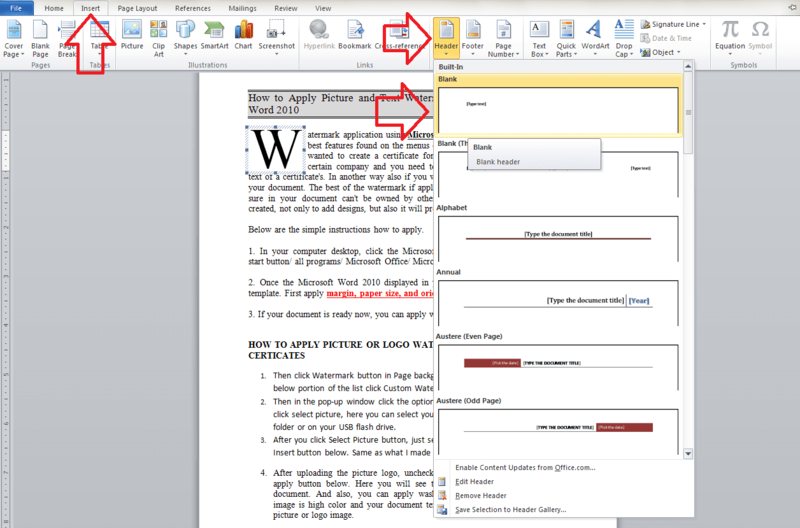 This application can use only in Microsoft Word 2007 and 2010, you can't use this application guide using the Microsoft Word 2016. Another application you can use are the WPS Office and Open Office. If you have questions and comment just type in the comment section below.